Homemade Christmas ornaments are special crafts to keep, and to give. 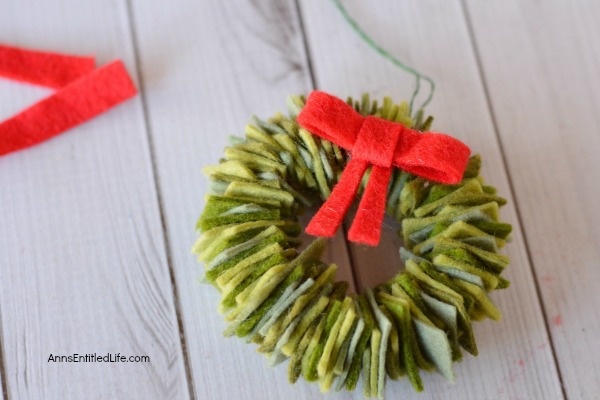 These easy Felt Wreath Ornaments are simply adorable! 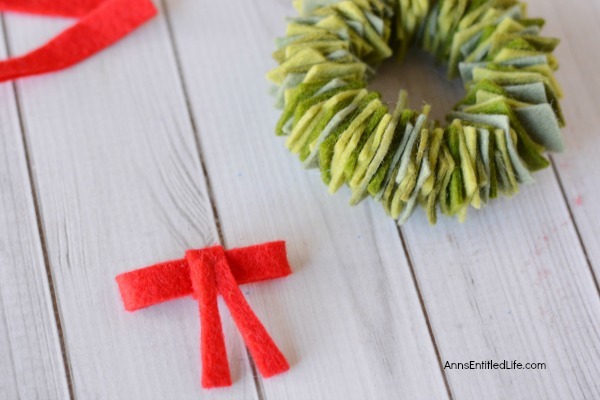 Older children, under adult supervision, can also make these felt wreaths using the step by step tutorial photographs and instructions as guidance. 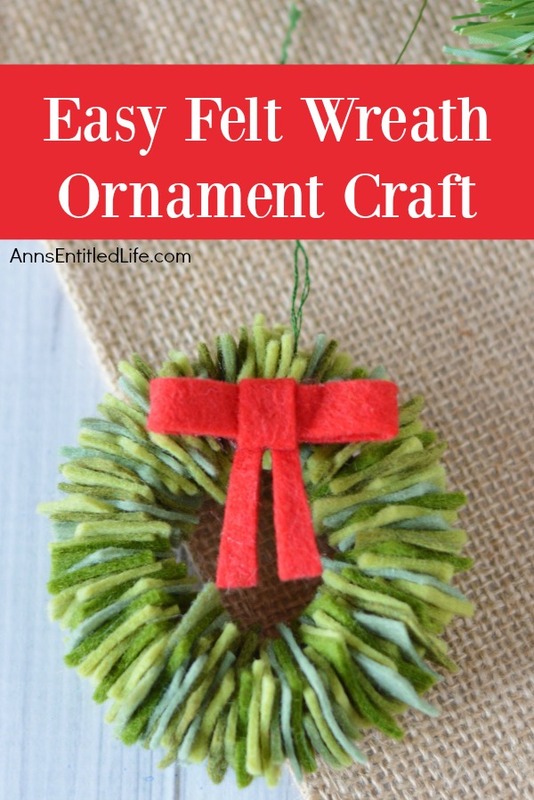 This is the easiest Christmas craft you could ever make! Truly simple, and yet so cute. The tutorial shows these wreaths using three different colors. My next door neighbor is a psychiatrist. 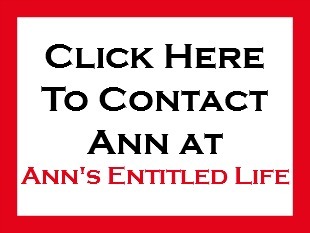 Long ago he told me (in a conversation that had nothing to do with holiday decorations! 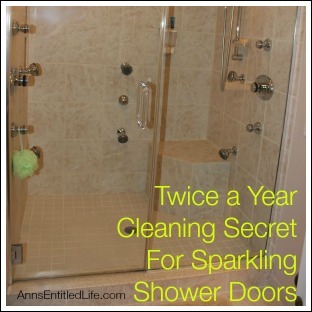 or any decorations for that matter) that women prefer odd numbers, men prefer even numbers. 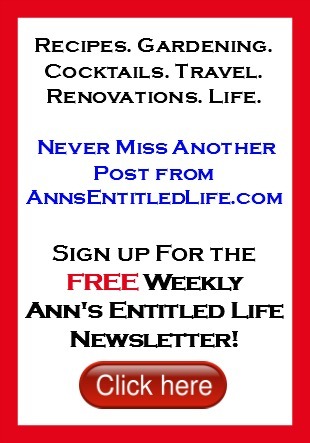 I definite subscribe to the “rule of 3” as being most pleasing to the eye. 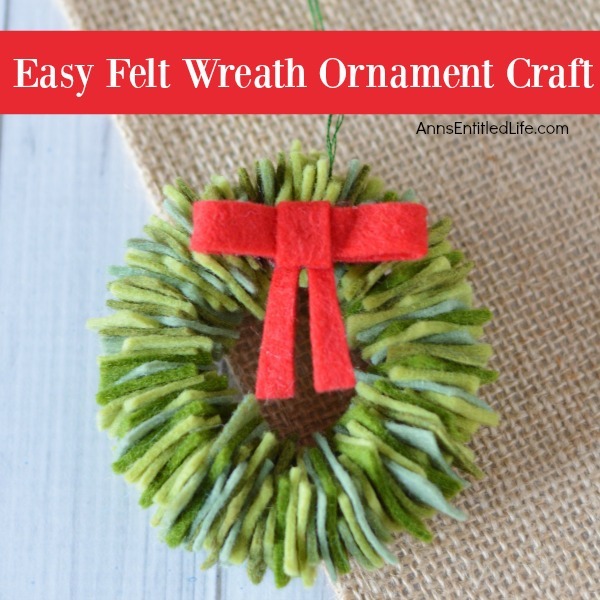 In this case three different colors help add depth and character to these easy felt wreath ornaments. Saying that, there is nothing to say you must use three colors – one, two, five, etc. Whatever you have on hand for felt (shades of brown, red, blue would also work well), or can purchase in a coordinating bundle will work fine. You may require more or less than 100 cut pieces of felt (104 pieces were used in making the wreath shown). It depends on how tightly you stack the pieces next to one another. 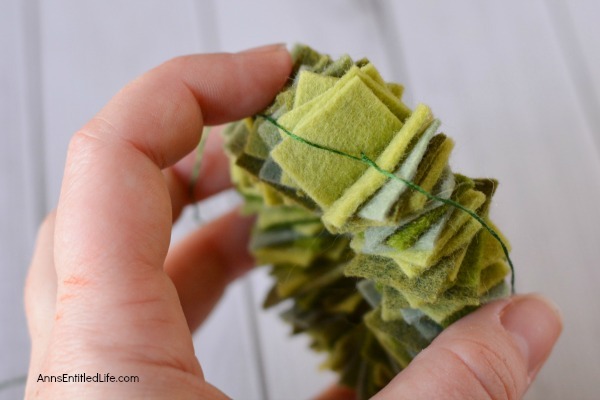 • Cut green felt into approximately 100 ¾” x ¾” squares or ¾” x 1″ rectangles (104 were used on the wreath shown). Use 3 different shades for depth. Stack felt on top of one another to save cutting time. 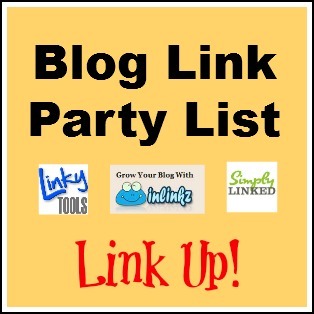 • Mark your felt, and use a ruler to draw a straight line with a pencil if you require a guide. 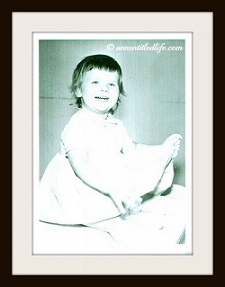 • Thread a needle with a 13″ to 14″ piece of green thread. 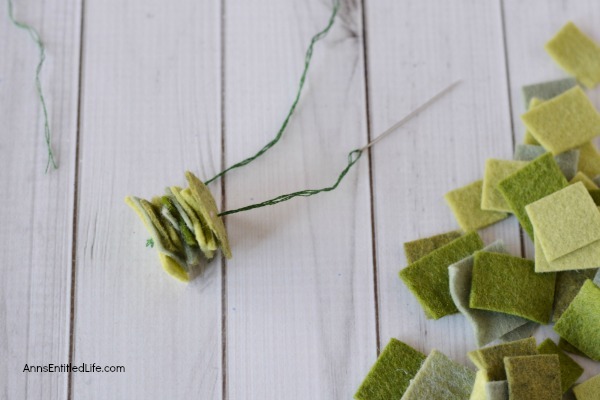 • Slide the felt pieces down the thread, pressing them together. Alternate colors, or place two alike colors together. 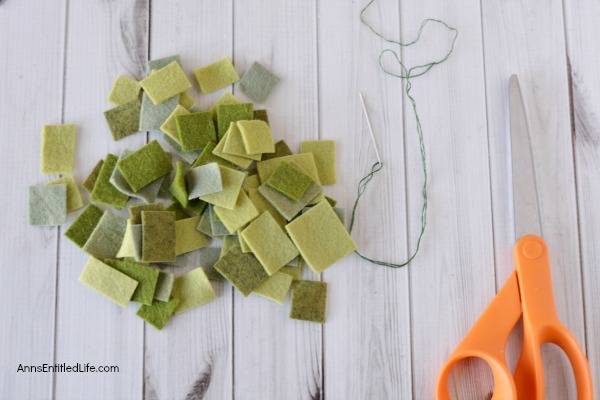 • Continue to add the green felt squares until you have about a 7″ length of felt on the thread, and about 6″ of thread leftover. • Tie the two pieces of thread together tightly and a circle will form. Double knot. • Tie the remaining thread into a slip knot to hang. • Cut a piece of red felt 3.5″ x 0.25″. 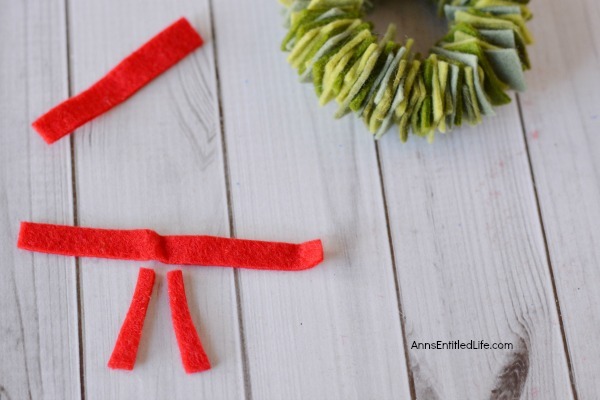 • Take that long piece of red felt and fold the ends into the center; affix with hot glue. • Cut two smaller pieces of red felt, 2″ x 0.25″. • Wrap one piece of that 2″ x 0.25″ red felt around the center of the bow and secure with hot glue. Trim the end. • Cut the other piece of 2″ x 0.25″ in half, and affix to the back of the bow with hot glue. 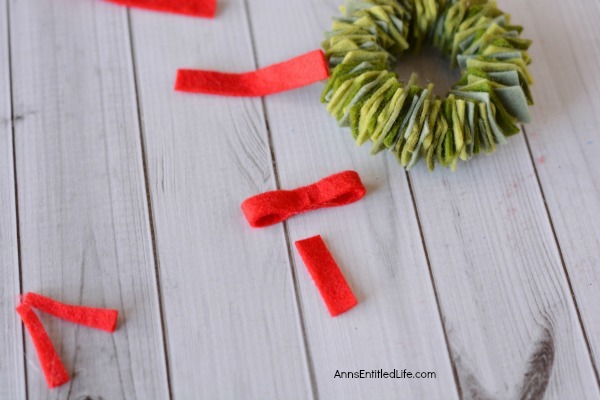 • Attach the red bow to the wreath using hot glue. 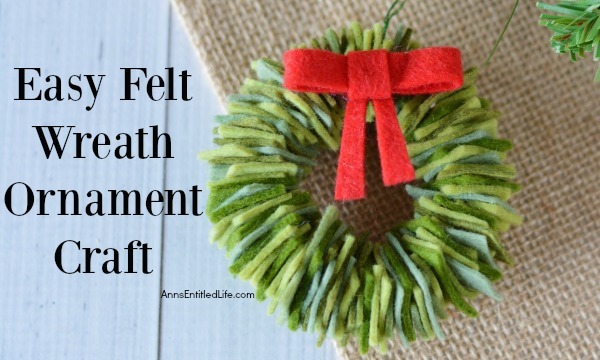 • To print the Felt Wreath Ornament Craft instructions, click here.